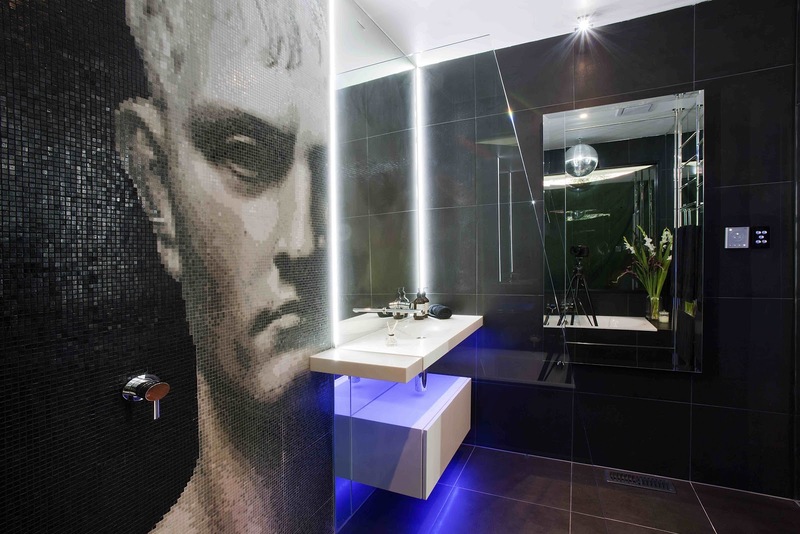 Minosa: A modern seamless bathroom with true WOW factor. Amazing is the only real way to describe it, there are a lot of creative design features integrated to create one striking modern bathroom. Help! ...... The bathroom was cramped dark and was long passed its ‘use by’ date. Natural lighting is virtually nonexistent. A small inadequate window was the only light source. The space needs its inadequacies to be disguised and the layout carefully reconsidered. The existing shower over a bath and tiny pedestal basin must cease to exist and be replaced by a modern spacious and luxurious feeling bathroom, which will be a pleasure to be in. More light is the principal prerequisite. The couple is young and vibrant and requires a space to match their creative outgoing personalities and to be able to enjoy the space together. The house is a 50’s style orange brick veneer house is structurally sound but gloomy, small, poky, tired and the bathroom barely useable. It needed extensive work on a number of fronts. The return air vent was taking up valuable space in the bathroom and the general floor plan was problematical. 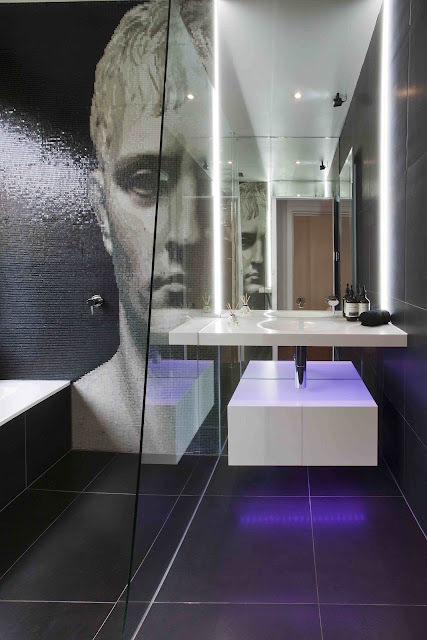 A Modern, exciting and luxurious bathroom space was to be created, without disregarding the practical needs. Space was to be created from an extreme lack of space. The air intake encroached significantly into the room making relocation of fixtures next to impossible. The couple wanted a bath, separate shower and storage without the look of clutter! They also yearned for Black to be the dominant colour. 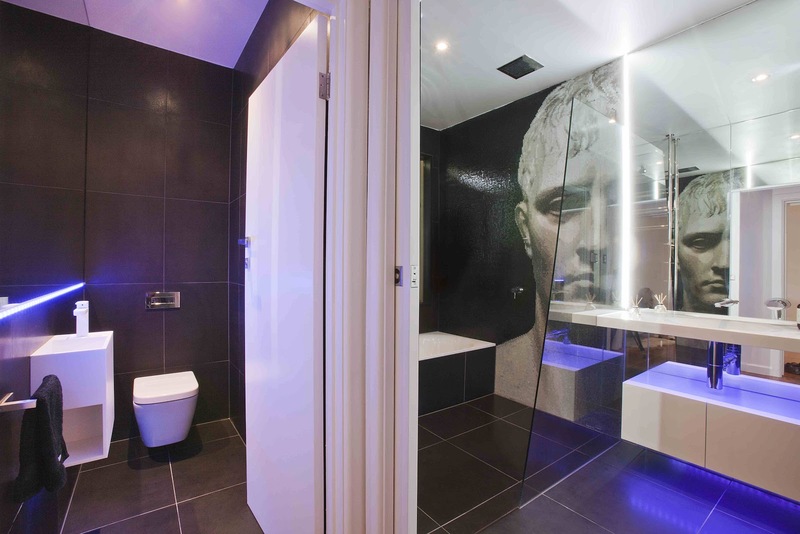 The real dilemma was that if the bathroom was indeed all black, how were we going to make it not appear like an underground cave and achieve the light bright airy space they required? The Tapware and fittings needed to be stylish with a strong modern edge. 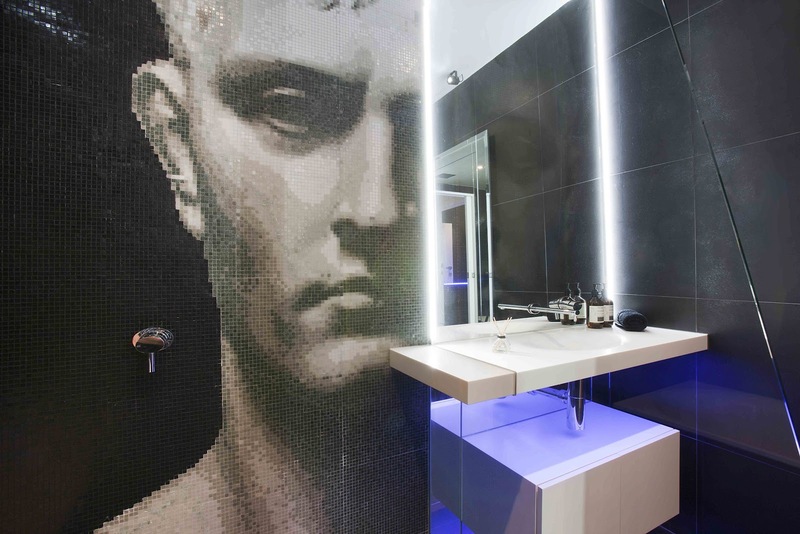 Selection was imperative to the success of this bathroom on a number of levels. A new large window was substituted for the tiny ineffective existing window, allowing natural light to pour in. 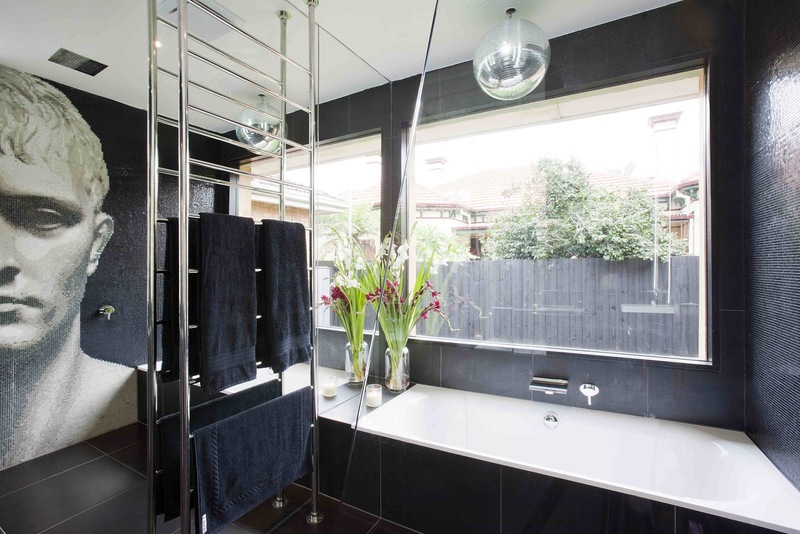 Extensive use of mirrors provides light and reflection disguising the small bathroom. They were strategically placed to reflect light and the scenes created within, making it appear as though the room went on forever. The recessed mirrored cabinet appears to be a decorative piece only, where it magically opens with a push catch to reveal storage shelves and a mirrored door. 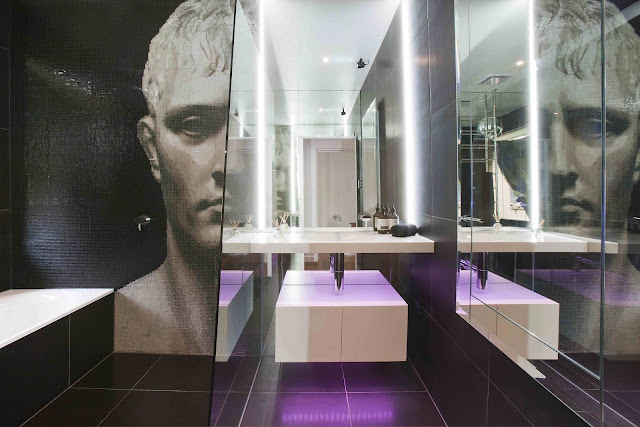 The mirrored door allows the clients to be standing at the vanity whilst drying their hair and see what the back appearance is at the same time. A magical feature! 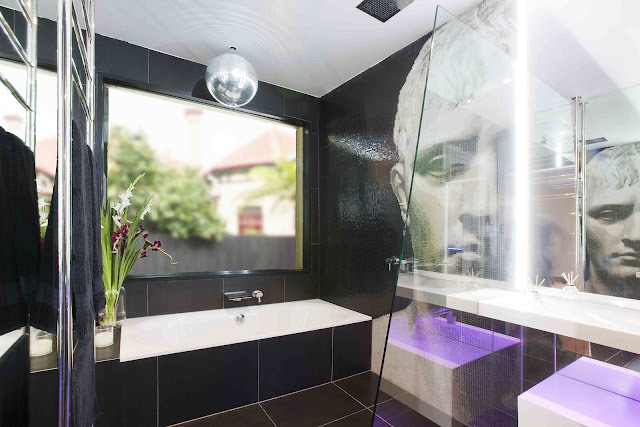 A mirror ball was added to the area over the bath and a spotlight fixed directly on it to have the light fragments created dance like stars around the room. LED lighting, which could be colour changed, was cleverly concealed under the vanity bench top and floating cabinet. 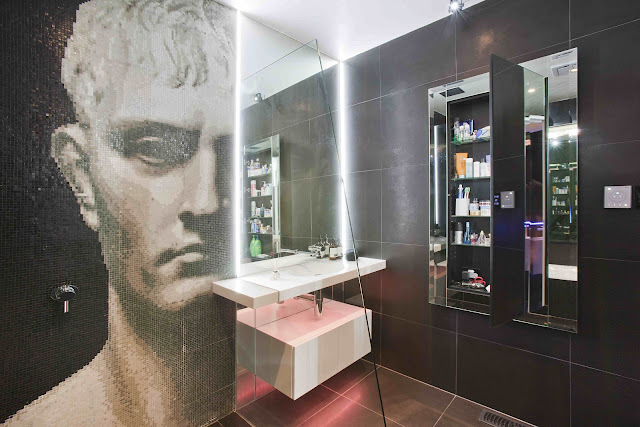 On either side of the mirror over the vanity LED light strips were applied and set flush with the mirror on the wall, again not to feature and clutter the space, but perform their duty ably. The air intake was relocated under the floor where the vanity was to be positioned, a space that could not be utilized otherwise. This provided more useable space and generally opened the room up. The bath was selected because of its strong simple lines. It is a drop in bath so all planes are seam free enhancing the simple clean lines. Different levels were avoided to maintain the simplicity. The bath is large enough for two. 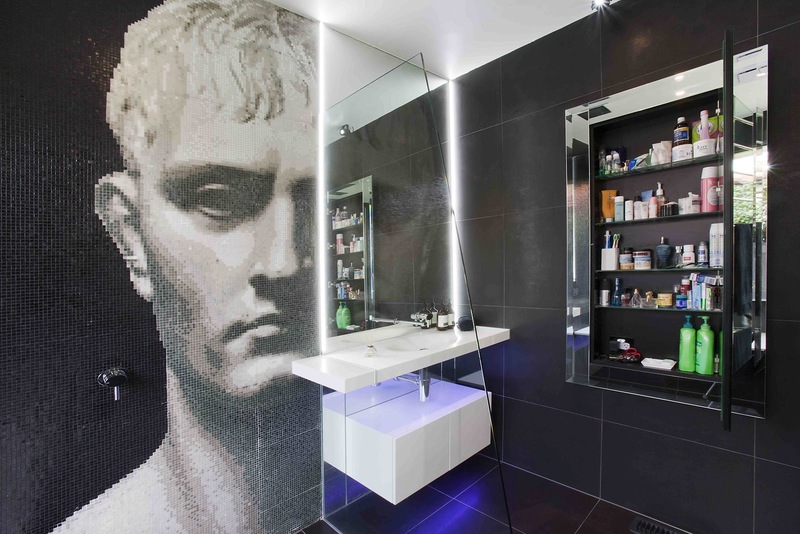 A simple angled blade of glass is used to delineate the shower area, again with room for two with the shower head mounted into the ceiling, further creating the feeling of space. The strip drain has been tiled to blend with the floor and angled toward the glass to keep the run off away from any walls. 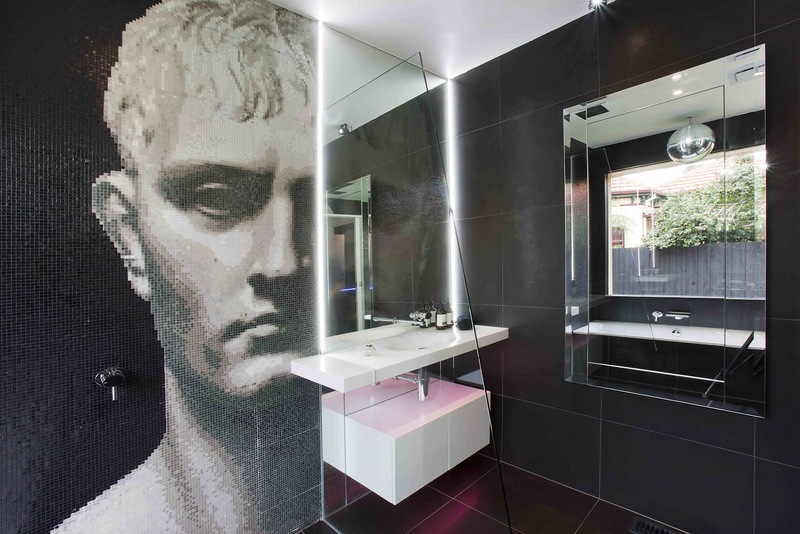 The real hero of the space is the incredible striking Bisazza glass mosaic tiles – Bonaparte WOW! Amazing is the only real way to describe it, there are a lot of creative design features integrated to create one striking modern bathroom. Supply all Gessi Ovale tapware & Soaker, Bisazza Glass Mosaic, Black floor and wall tiles.